Robert talks to Dr. Anil Madhavapeddy of the Cambridge University (UK) Systems research group about the OCaml language and the Mirage cloud operating system, a microkernel written entirely in OCaml. 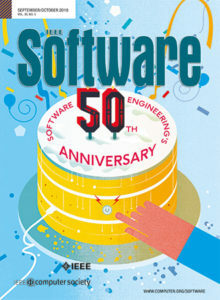 The outline includes: history of the evolution from dedicated servers running a monolithic operating system to virutalized servers based on the Xen hypervisor to micro-kernels; the differences between monolithic kernels, exokernels and micro-kernels; recent innovations that have allowed micro-kernels to overcome performance problems; performance of micro-kernels compared to a Linux server running a daemon for simple services like DNS and HTTP; security of micro-kernels; the history of the OCaml language; how the functional programming and the OCaml type system supports the design goals of the Mirage micro-kernel; how the Mirage team decided on OCaml as the implementation language for their project; the reconception of the toolchain that has Mirage kernels and compiled and managed via github; the possibility of using other popular web programming languages within Mirage; high-bandwidth networking abstractions in OCaml over Xen memory rings; and micro-kernels in the browser and peripheral devices. They wrap up with a discussion of Anil’s recent book on OCaml. Dr. Anil Madhavapeddy gives a passionate interview about the compilation, decoupling and encapsulation of useful components. With all the fervor @docker , I think this relates to future, dare I say ultimate, containerization. Great interview, very technical, but still extremely useful. Another excellent episode! Although Anil speaks at 100km/h he’s understandable and clear. Thanks! » Docker: How is Docker related to exokernal approach like Mirage OS?